Facebook’s user privacy woes don’t seem to be letting up. 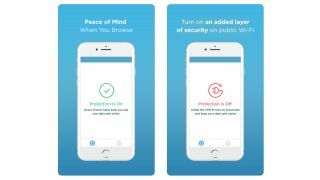 According to a new report from The Wall Street Journal, the Facebook-owned Onavo Protect VPN service app will be removed from the App Store after Apple claimed it violated data collection policies. And it didn’t take long for the app to be pulled. While the news broke only about an hour before our writing this story, we can confirm that the security app has already disappeared from the Australian version of the iOS App Store. "We work hard to protect user privacy and data security throughout the Apple ecosystem," an Apple spokesperson said with regards to the decision. "With the latest update to our guidelines, we made it explicitly clear that apps should not collect information about which other apps are installed on a user's device for the purposes of analytics or advertising/marketing and must make it clear what user data will be collected and how it will be used." Onavo began as an Israeli startup that helped users keep tabs on their mobile data usage, and was acquired by Facebook in 2013. The Onavo app generally worked like any other VPN service on iOS – by securing data transmitted over the internet with encryption to maintain anonymity – but curiously, there was no explicit mention of improved user privacy or anonymity on the app’s Store description. Regardless, Facebook began promoting the app to its users earlier this year, implying that using it would 'protect' them online. It became one of the social media platform’s key tools for keeping tabs on user behaviour outside of its own core apps, and has been accused of being used to help Facebook monitor the competition's latest products. It’s perhaps somewhat surprising that Onavo Protect lasted as long as it did, then, especially after the fracas that was the Cambridge Analytica scandal. As per the Journal’s report, Apple didn’t remove the app on its own, but informed Facebook earlier this month that it violated the new App Store guidelines which were implemented in June. Discussions between the two companies took place this week and Apple is reported to have given the social media giant the opportunity to voluntarily pull Onavo Protect from the App Store. There are plenty of alternative free VPNs out there, but premium services generally offer superior privacy — we've collected our favorites in this list of the best VPN services for 2018.